This mask stays on your skin for two minutes. Two minutes, that’s it. I needed to open with that because I love love love using this Soothing Chamomile Mud Mask before work! I’m still so shocked that I have the ability to use a face mask before work…can you tell I’m overjoyed by this?! As you can tell from the beginning of this post, I love using this once a week before work. Usually by Wednesday I need a pick me up, and this quickie mask delivers on that feel good vibe I need by the middle of the week. Or, if I have a long night out for an event and I’m worried about oil control, I’ll use this mask as a primer before the primer to help keep my skin and makeup look refreshed and clean. Since mud masks essentially draw out and absorb excess oil from the skin it is best for oily or combination skin types, although you might want to only apply this mask to the oily areas of your face if you have combination skin. 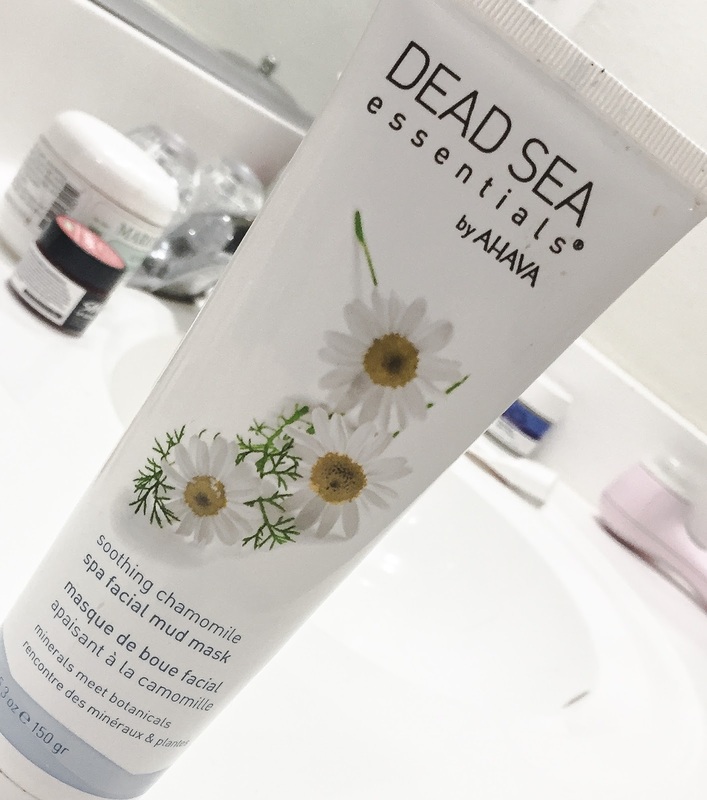 Also, if you’re like me and only suffer from acne once a month, the Soothing Chamomile Spa Facial Mud Mask is a great option for calming breakouts and reducing redness.